The Circumpolar Biodiversity Monitoring Program (CBMP) is an international network of scientists, government agencies, Indigenous organizations and conservation groups working together to harmonize and integrate efforts to monitor the Arctic's living resources. Reporting to, and communicating with, key decision makers and stakeholders, thereby enabling effective conservation and adaptation responses to changes in Arctic biodiversity. 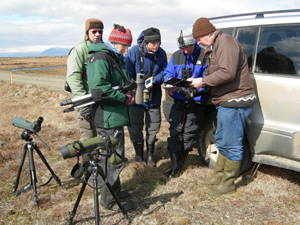 There are hundreds of biodiversity-related monitoring programs currently underway. Over half a billion dollars is spent on monitoring the Arctic’s living resources annually. However, this monitoring remains largely uncoordinated, which limits the ability to detect and understand circumpolar changes. Lack of coordination and technical information can impede coherent and effective decision making. Meanwhile Arctic biodiversity faces many pressures and stressors leaving communities vulnerable and increasing the urgency to act. The Arctic’s significant contribution to the Earth’s physical, chemical, and biological balance makes the maintenance of healthy Arctic ecosystems a global imperative. Yet the Arctic is under increasing stress from climate change and resource development, with unpredictable consequences for biodiversity. The 2004 Arctic Climate Impact Assessment (ACIA) recommended "long term Arctic biodiversity monitoring be expanded and enhanced." 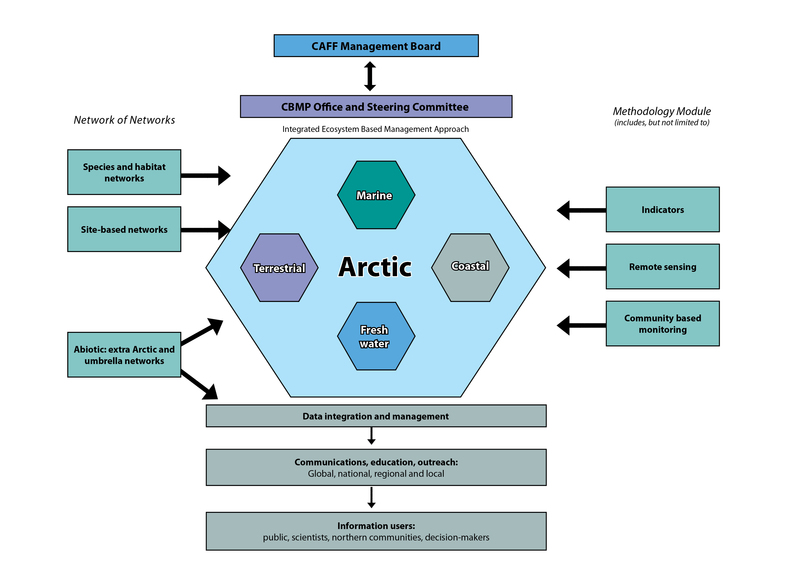 In response to the ACIA, the Arctic Council directed two of its working groups — the Conservation of Arctic Flora and Fauna (CAFF) and Arctic Monitoring and Assessment Program (AMAP) to examine the report's findings and develop follow-up programs to address key projections for the future of the Arctic. CAFF's primary response was to initiate the development of the Circumpolar Biodiversity Monitoring Program (CBMP) as its cornerstone program. 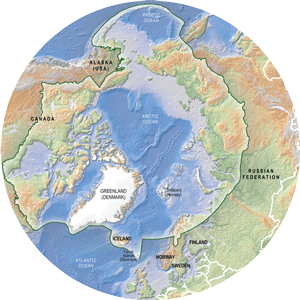 It received Arctic Council Ministerial endorsement in 2004 (Reykjavik Declaration) and 2006 (Salekhard Declaration). 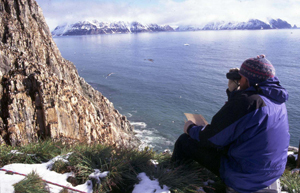 Monitoring seabirds/ Photo: Grant Gilchrist, Environment CanadaThe CBMP operates under an ecosystem-based approach. The ecosystem-based approach to monitoring considers the integrity of entire ecosystems and their interaction with other ecosystems. It provides a bridge between ecosystems, habitats, species, and the impacts of stressors on ecological functions. Results contribute to adaptive management, allowing for effective conservation, mitigation, and adaptation actions appropriate to the Arctic. The importance of monitoring the interactions between people and biodiversity, such as sustainable use and the ability of biodiversity to provide essential goods. Survey team. Photo: CBMPThe CBMP is coordinating the wide range of Arctic biodiversity monitoring activity spanning biological, geographical, and climatic disciplines. This includes standardizing practices, coordinating and integrating information, and providing services in data management (through the Arctic Biodiversity Data Service), communications, reporting and decision-making. The importance of building on the strong linkages between scientific and community-based monitoring found in some networks. The CBMP works with partners to develop and promote measures for biotic elements across the Arctic, including expansion to new networks. Linkages will be established with other monitoring networks focusing on abiotic or extra-Arctic biological elements with impacts on and/or overlaps with Arctic biodiversity. 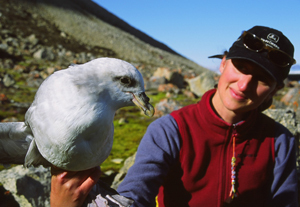 The CBMP is comprised of various members and partners associated with Arctic biodiversity and monitoring.